- DNA tested and clear for the PRA mutation NPHP4. 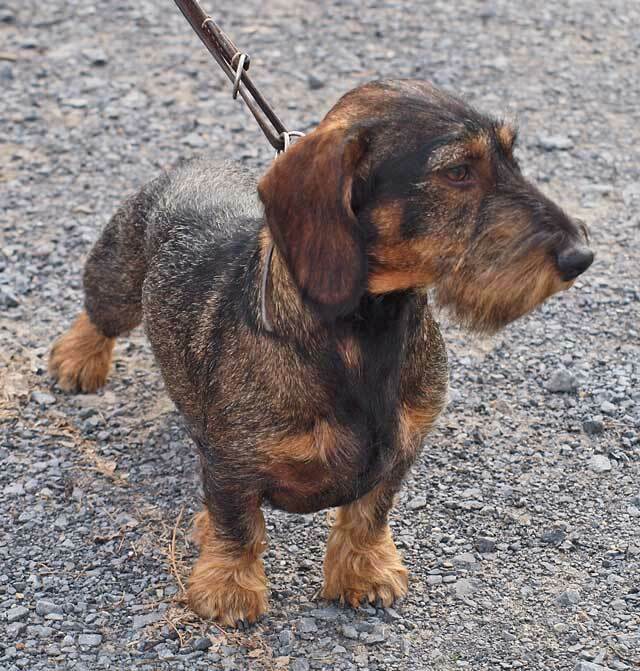 - DNA tested and homozygous for the gene controlling the presence of furnishings (beard), which means that all his offspring should be wirehaired as he does not carry the gene for short hair. Tom vom Linteler-Forst was bred by Dieter Engel from Coburg, Germany. We have known Dieter and his wife Dr. Marlies Müller (von Rauhenstein kennel) for many years. They both are exceptionally accomplished breeders of standard wires, and dogs of their breeding are universally recognized for their superior quality. Tommy's pedigree is a mixture of German and Scandinavian bloodlines. He is a grandson of famous Revestreken's Frikk. Tommy is a very outgoing, friendly, affectionate and intelligent dog with a strong desire to please. His level of energy is high. This is a dog that needs a fair amount of exercise. At the NATC Zuchtschau judged by Mme Agnes de France his conformation was rated as excellent (vorzüglich). 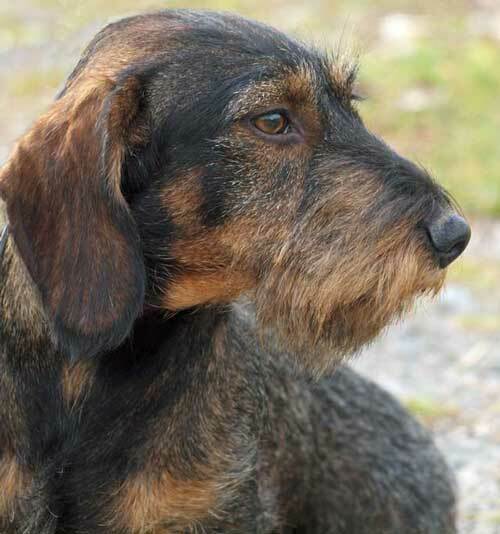 His wirehaired coat is ideal with thick undercoat and harsh, wiry topcoat. He has a strong, beatiful head with a very nice beard. He weighs around 9 kg (20 lbs) and his chest circumference is 43cm. Tommy has a very strong hunting drive and opens freely on live game such as rabbits. 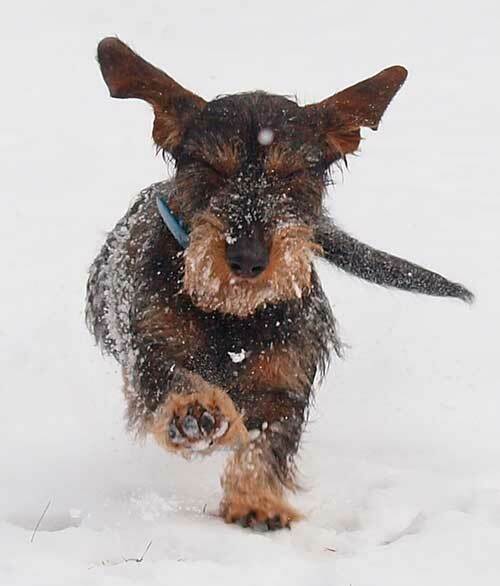 His nose is powerful, and he trails rabbits fast. He finished his AKC Field Championship with two first places and one second. 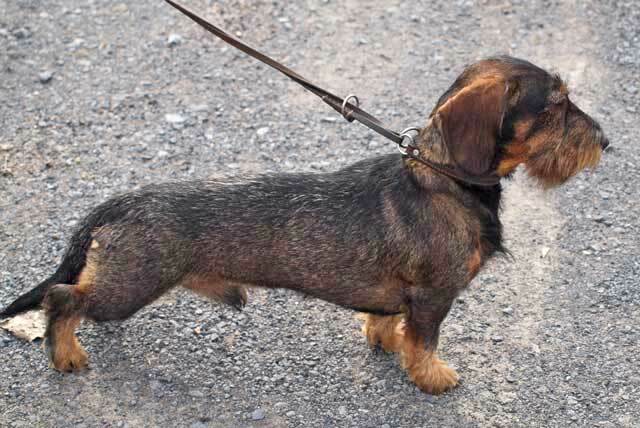 In November 2011 at the Buckeye Dachshund Club Invitation Field Trial he was awarded the Oscar Award. He showed us good aggressiveness towards woodchucks when he was confronted by one. Despite his high energy level Tommy is a focused tracking dog who does close, careful check work. His nose is excellent. 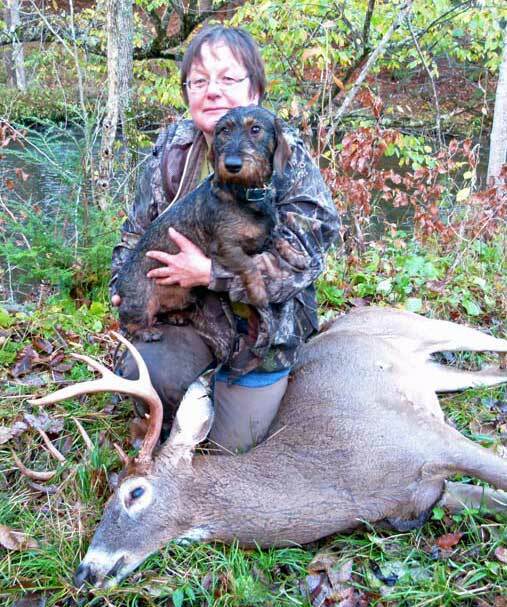 He is Deer Search certified - in April 2012 he received Prize I, 90 points, on a certification 1000-yard, 20-hour old track. On June 9, 2012 he passed the DTK/NATC blood tracking test with a perfect score of 100 points and Prize I. 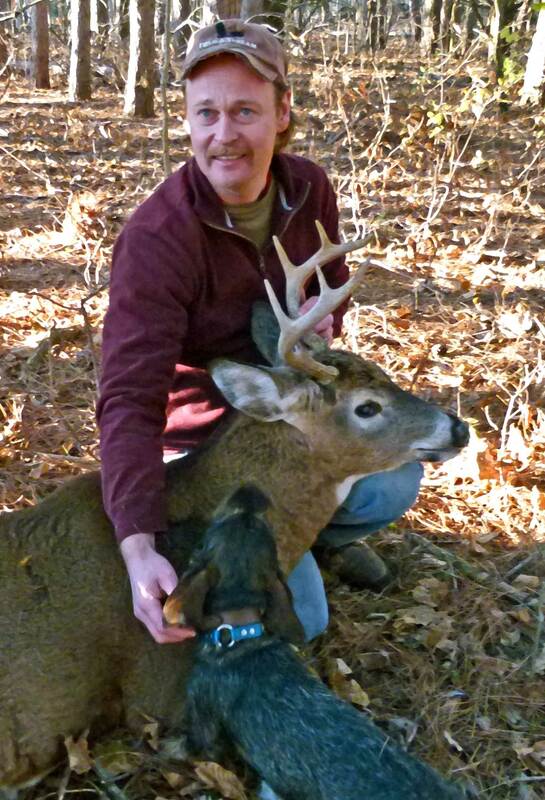 He has done very well as a natural blood tracker and in 2012 recovered far 13 deer. Tommy is a prepotent stud who seems to produce puppies very much like himself in appearance and working style. So far he has been used at stud three times on outside females. Two of his sons are field champions. We are going to breed our Keena to Tommy in spring 2013. 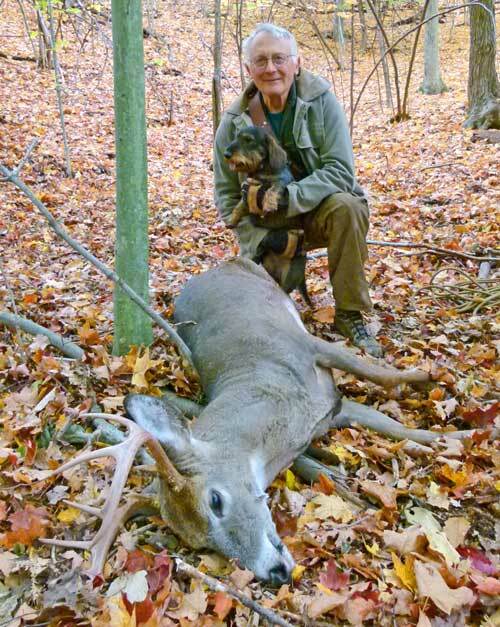 Tommy with John (above) and Jolanta (below) and the bucks he recovered. This picture was taken when Tommy was young, and it shows well his angulation. Since then his chest has enlarged. Consequently he is lower to the ground now as a mature dog. So while he has many good qualities, he is relatively low stationed dog.